Apologies for the delay of getting this out to you. April has passed by soo quickly. Autumn has arrived and what a beautiful autumn it is! I hope you are enjoying the long Anzac weekend as much as we do. 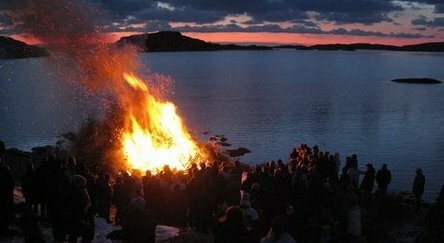 Walpurgis Night (Swedish: Valborgsmässoafton or simply Valborg,Vappu in Finland)) 30th April, is a traditional spring festival on 30 April or 1 May in Scandinavia. It is often celebrated with picnic, music and bonfires. Rooted in the Pagan beliefs that the spring fires ward off evil, chaotic spirits as well as protect livestock from predators, the pagan traditions were "Christianized" at some time in the past to commemorate the death of Saint Walpurg. Today, there is little religious significance associated with Sista April. 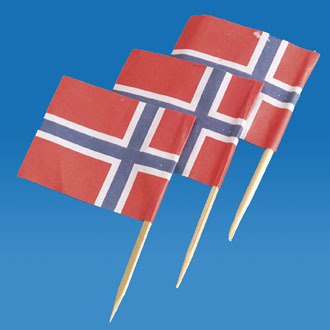 If you live somewhere where you can safely light a bonfire, this would be a good time to invite your friends to a Scandinavian Smörgåsbord! Mother's Day is a celebration honoring mothers and celebrating motherhood, maternal bonds and the influence of mothers in society. It is celebrated on various days in many parts of the world. 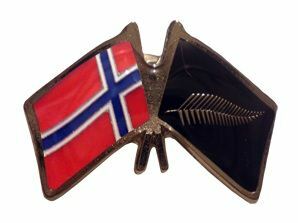 Mothers day celebrated on the Second Sunday of May in New Zealand, Finland, Denmark, Iceland and a few other countries. Sweden celebrates it on the Last Sunday of May. 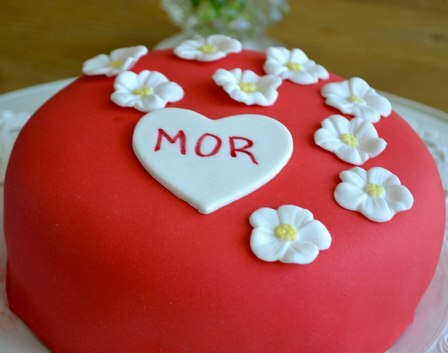 Norway has already celebrated their Mums on the Second Sunday of February, but they have their own very special day coming - 17 May! 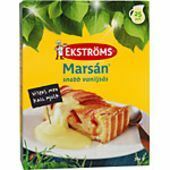 To help you make that special Scandinavian Cake for your mum we have a special on Marsan (Vanilla Custard) sauce (now $3.50) . 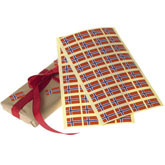 And for the danish lagekage a special on Macaroons (now $6.50)! Check out our Mothersday section for more gift ideas! Söder tea (tea from Södermalm - a district of Stockholm) or Söderblandning (blend from Södermalm). If you have ever been to cafes in Stockholm it’s very likely that you have come across Soderblandning or Soder Te which can be also called Blend of South Stockholm in english. 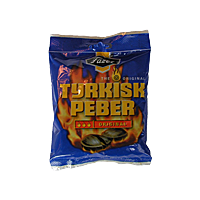 This blend, as the name indicates comes from the southern part of Stockholm and is generally very popular in Sweden. Soderblandning was first created by mistake in 1979 when a tea shop owner, Vernon Mauris was trying to make a new blend. While mixing, an extra ingredient fell into the tea accidentally and Mauris not willing to just throw the spoiled blend tried it and concluded that it tasted interesting. After improving the taste a bit, he marketed this new blend in his shop under the name “Mistake Blend”. 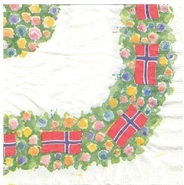 Later used at a street celebration it was renamed Soderblandning in honor of the part of Stockholm where the store was located. The ingredients of this blend are not officially stated and can also vary slightly between brands. 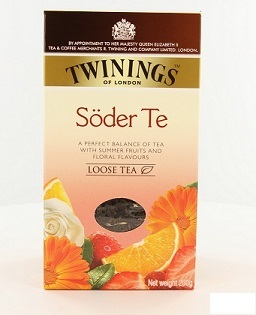 The base is a blend of Chinese and Ceylon black teas with addition of flowers and fruits.